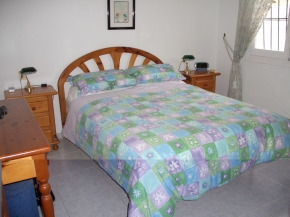 Villa rental: 2 Bed Private Det.Villa. 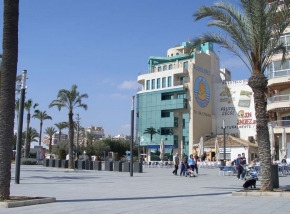 La Siesta, Torrevieja, Costa Blanca. 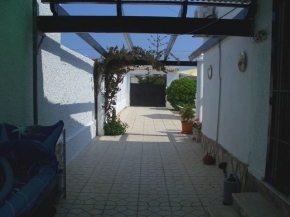 2 Bed Private Det.Villa. 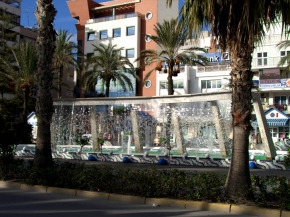 La Siesta, Torrevieja, Costa Blanca. 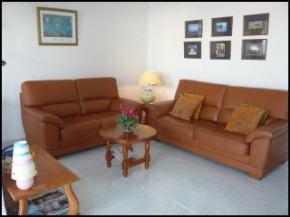 This two bedroom villa, is suitable for four persons. It has partial air conditioning and a pool, which is 1.5meters at the shallow end with steps and a handrail going to a total depth of 1.7metres at the deep end. Sun loungers and other patio furniture are provided. There is a Digital Flatscreen TV with a good selection of English speaking channels and also includes a DVD/HI-FI SYSTEM plus films. Free Wifi for your convenience. The villa is very private, surrounded by a high wall and gates; providing secure parking. There is a large main living room with comfortable settees with dining area off the lounge. 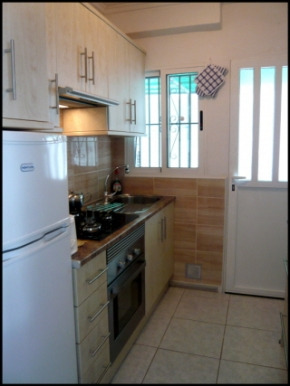 The kitchen is small but adequate with gas cooker and fridge /freezer. A washing machine is also provided. There is one double and one twin bedroom. Also a shower room with bidet and toilet. Bedding and pool towels are provided however please bring your own bathroom towels. The rear of the house is walled with a patio area, shrubs and Built-in BBQ. So what's the local area like? The property is situated in an area called La Siesta only a few minutes walk from the shops, bars, restaurants, clinic, pharmacy, church, bank etc. and a few minutes drive to the local hyper market. It's ten minutes drive to Torrevieja and the beach (which is a fine golden sand and not overcrowded). There is also a good beach at Guardamar. There is a hippy market at the front and fishing port, also two marinas. There are many excellent Tapas bars shops and restaurants plus three excellent golf courses, nearby. - Pool 1.5m - 1.7m deep. - Sun loungers and other patio furniture are provided. - Digital TV with a good selection of English speaking channels. - Hifi system. DVD. films. - Mobile Phone with local sim card. - Very private, surrounded by a wall and high gates. - Large main living room with comfortable settees. 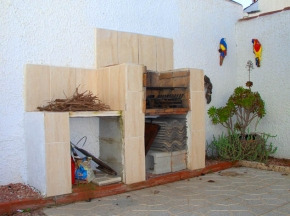 - Excellent kitchen w/gas cooker & fridge/freezer. - Shower room with bidet and toilet. - Bedding and pool towels are provided. 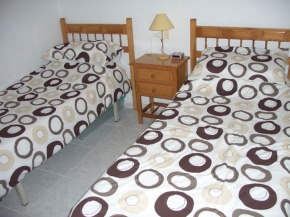 - Few minutes walk from the shops, bars and restaurants. - PAYG Mobile Phone. (Please leave‚ 5€ on phone when leaving for the next guests).